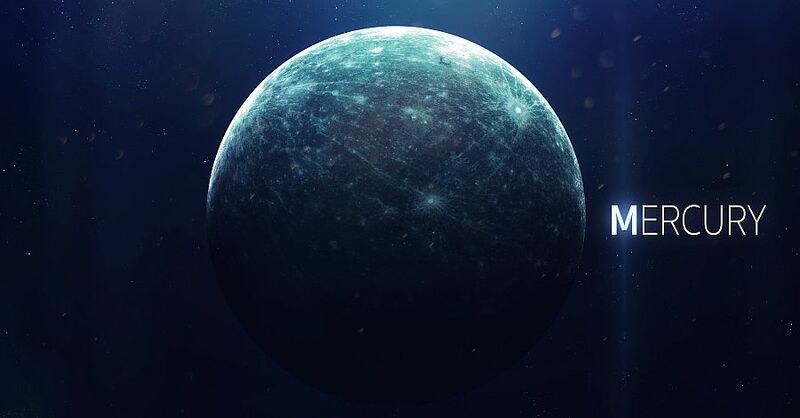 I have already explained a little bit about what Mercury stationing Retrograde really means, in a prior post, you can read that here: What Is Mercury Retrograde? One thing that I am forever telling people is that to really figure out how to end the various cycles you see play out during any planetary retrograde cycle is in determining where it hits in your own chart and how. So, it seemed only fitting that we devote this blog to the Messenger God and his backwards movement. If you do not yet have a copy of your own natal chart, I highly recommend you pick one up so you can follow along better. So, the first thing we’re going to do is find Mercury natally and explore what this means just a bit. Mercury in your own birth chart really shows how you communicate, learn, think, and can often really illustrate those things you’re interested in. Here’s the chunk of my chart where my Mercury is found. As you can see, pretty simple to find it. 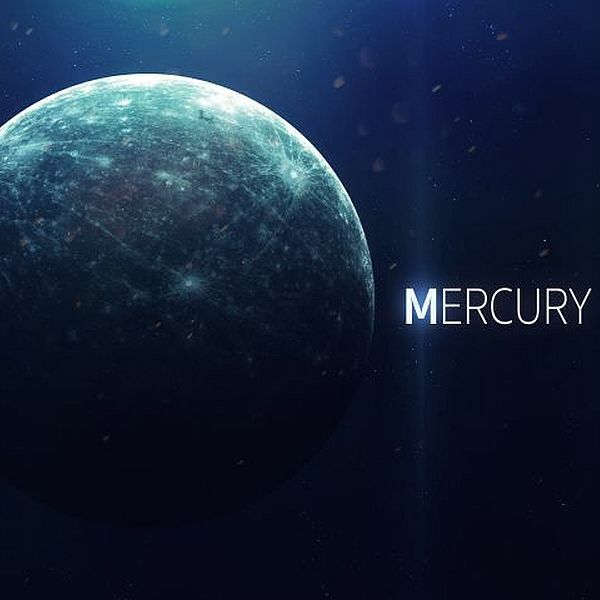 The Mercury symbol usually looks something along these lines. With that said, let’s go right into the signs first. I want you to imagine a second, the most Aries person you know. Now, think about the way they talk- not much subtlety, is there? This is what natal Mercury in Aries usually means. People with this placement really don’t tend to hide a whole lot, they aren’t fussed about the details, and they tend to love coming up with newer, more innovative projects and ideas. There is a tendency towards being pretty impulsive with this placement, and it’s important to learn to balance taking the initiative with careful assessment first. People with this placement have a tendency towards wanting to take their time, be very careful (sometimes too careful), and aren’t overmuch talkative with no good reason. They prefer to maximize the impact of their words, take their time in starting new things and though it may take them what seems like forever to get started, and then complete projects: you can almost be certain of near perfectionism. This placement tends to mean the person is incredibly smart, but may not be able to focus on those incredibly smart ideas all that long. People with this placement need to have puzzles to figure out, drama to sift through, and things to keep them busy or else they’ll get bored, maybe even prone to anxiety and they tend to be Jacks of All Trades, while Masters of None. They also are usually pretty charismatic, though when they are communicating, there’s a certain coldness to it that they don’t intend and others misunderstand. Mercury in Cancer usually denotes someone who speaks from the heart, sort of. People with this placement usually have a bit of trouble with objectivity, but, they might also be kinda hesitant to convey those feelings anyway because they are incredibly sensitive to criticism. They are also typically the type that remembers literally every little detail, and this holds particularly true if whatever it was involved an emotional response. With Mercury in Leo, you can well imagine these are people who talk with their hands, are very animated and certainly do have a way of capturing the imagination with the things they say. They are warm, proud and can sometimes be a little bit too hard-headed, but ultimately, that need to communicate is the most important thing. They can sometimes be a little too proud of what they think, and can often fall into a trap of being a bit too rigid there. However, when they are able to speak freely, there’s a really wonderful balance that tempers that. Mercury in Virgo doesn’t say much, but boy, they think it. Nearly constantly. They’re people with a lot on their minds, and when they do contribute, it is usually something like a giant knowledge bomb. They’re very into the details, but… those bigger picture things are a bit harder for them to work with. Having a well-established structure and routine is very important for this placement as it tends to keep things calmer. People with this placement really don’t tolerate being around those who do not understand them very well, and they have a way of attracting those with like minds. They tend to be highly objective able to see any given disagreement from all sides, but can often have an issue there. Sometimes, diplomacy isn’t what’s needed, and a more solid position must be held. People with this placement can have issues making decisions, and this usually stems from a desire to try to make everyone happy or explore all of the options at once. If you know someone with this placement, you may as well forget about surprise parties, secrets or otherwise, because if it’s there to find out, they will. This placement usually denotes someone with insane capabilities when it comes to being able to dig in and find the facts. They aren’t particularly shy in doing so either, though trying for a little turnabout fact-finding on them tends to be hard. Though they come across as remarkably passionate, they do tend to be some of the most private people out there. I have often felt like those with Mercury in Sagittarius should hook up with those with Mercury in Virgo because the reverse is true of them when it comes to bigger picture things. Mercury in Sag often dreams these huge, big dreams, yet, gets lost when it comes to the details needed. They’re not all that hung up on the smaller things, which can be wonderful, but also problematic. They’re upbeat and usually very optimistic. However, they can get a little bit on the sanctimonious side when they’re on a tear. Learning to talk with others, rather than at them is key. Mercury in Capricorn, ah, here we go, telling all my secrets. As you might expect, this is a very practical placement, and realistic goals are typically what’s on their minds. This placement tends to indicate someone who respects authority and status. They have absolutely no problems calling people on false authority or denying someone respect who hasn’t earned it and they also require the same from those they’re close to. The downsides of this placement are that at times, they can come across as being intellectually snobby, and in their desire to be seen as knowledgeable may hesitate to express themselves until they’ve got a sure thing. People with this placement are pretty sharp, they eat up knowledge like they’re starving for it and they are very ready learners. Once they know something, their knowledge of that subject can grow and evolve rather quickly. They enjoy real debates, but can often fall into the trap of being a little too aggressive in them. Some people think that those with this placement are cold, but, really, between their open minds and rebellious spirit: they’re anything but. I can usually spot this placement a mile off before I’ve even seen the chart because there is no one who can listen as well as someone with Mercury in Pisces. They prefer to observe, but, at times, if you do get them going on certain topics, they certainly do have a lot to say. Dreamy, imaginative and highly sensitive, they, unfortunately, do have a tendency towards telling people what they want to hear, rather than what they need to. Now, we get into the houses, and if you recall, this is the way it works: The planets are what we do, the signs are how we do it, and the houses are going to be where. I am not going to go into the aspects to Natal Mercury much in this blog because I need to talk more about how this works in the context of Mercury Retrograde. 1st house Mercury placement tends to be people who are a bit more thoughtful, and more inclined to listen rather than speak. They enjoy engaging with others, but, they’re more curious than anything. Extremely resourceful, 2nd house Mercury people tend to make the most of what they have and usually won’t rush to conclusions or decisions. They prefer not to have to multi-task and can be incredibly rigid once they make up their minds about things. 3rd house Mercury usually denotes somebody who is always thinking and who feels at their best when they’ve got a problem to solve. They really prefer to be involved in balanced conversations because not only do they enjoy showing off how smart they are, they enjoy learning new things even more. Some might call this placement, ah, more conventional. Others might say, “Stick in the mud.” However, the thing with this one is they have an exceptional mind that, though it isn’t particularly objective, is rather adept at taking many ideas to create a middle ground. They also tend to be history buffs. You know the guy at your holiday parties that whether you want to or not, you can hear every bit of his stories? That’s probably 5th house Mercury. (Or it might just be a Leo.) They’re usually funny, can stretch the truth to meet their ends, and seriously intelligent. These are the people who can pretty much pluck every little detail out of everything and 6th house Mercury tends to indicate a nearly uncanny perceptive nature. They’re usually organized and need structure, but when they don’t have it, it can be difficult for them to focus on one thing at a time. People with a 7th house Mercury usually need to have somebody to bounce things off of and do their best thinking when they work with someone else. They can be fairly indecisive unless they’ve got someone to help them feel more confident in their choices and tend to be adept at diplomacy. People with this placement are usually into psychology, the paranormal, science, or anything that requires a lot of research. They want to know about all the little weird, dark corners of the minds of others- and can be remarkably intense. 9th house Mercury wants to learn everything and anything, and in doing so, they feel that they’re broadening their horizons. They usually make excellent teachers, though at times, can be too blunt with the way they express themselves. People with a 10th house Mercury are easy to listen to, most of the time, because you can just tell they know what they’re talking about, though at times, it’s because they’re a bit pushy. They tend to need to be involved in things that keep them busy, keep their minds active and give them plenty of issues to sort. These are usually people with one or two extremely close friends but a lot of acquaintances. They respect intelligence above most things and are constantly on the search for something new. They don’t tend to want to hang out in anyone’s boxes, and can be remarkably idealistic dreamers. 12th house Mercury people are usually the quiet ones. They have a lot on their minds, though they’re not really inclined to express this and are often introverted. They tend to be distracted when they have to learn in groups with others, and learn best via things that spark their imaginations. When we want to look at how a Mercury retrograde cycle may impact a particular person, we do not just look at Mercury. We’re going to be looking at people who have the Sun in Virgo and Gemini because Mercury is their ruler. Then, people with the Moon or their Ascendant in Gemini may also get lumped in here. These are the people who usually are impacted by Mercury stationing retrograde most. The great thing here, though, is once you know, you can establish safeguards and otherwise that turn the cycle from being this big annoyance into something that helps you to change quite a lot about your life you probably weren’t thrilled with but had become complacent about. With the Gemini influenced charts, this tends to mean taking a long hard look at how you’ve been communicating and how that’s working out for you. For those with the Virgo influences, Moon, Ascendant and Sun, you’ll find that this is an awesome chance to look at how critical you’ve been if you’ve over complicated things, and how you can best undo any issues that have caused and also, prevent doing so in the future. This, however, is just the basics. To figure out exactly what sectors or houses of your chart the retrograde is going to impact most, you’ll want to take a look at transit Mercury. This goes into degrees a bit. Pull up your natal chart and look at where that degree happens to be. I have actually had a few people ask me about this one as far as How do you figure out the degrees? And actually the best place to start is in understanding that the degrees of any given planet will be based on the number of days it happens to be in each sign. With the whole wheel being 360° and each section being 30°, you can break it down like that. I will be going into degrees a bit more later, but I promise it’s not really as complicated as it can seem and your transit placement’s not going to be a whole lot different from your natal.